Here are 12 ways you can drive awareness, influence and engagement through the use of video. In fact, you may even see an uptick in revenues because videos have proven to be very good for business. Video Podcasts: Podcasting popularity continues to rise with 57 million Americans listening every month. Podcasters have seen a steady climb in audiences over the past 10 years because of better technology, discoverability and sheer volumes of content in this format. Video now helps podcasters differentiate themselves, grow emotional engagement with their audience, increase sharing and deliver content with a longer shelf-life. Commercials and Advertising: In ‘Marketing Charts Usage Trends’ report it is noted that in the past two years, video advertising has the highest usage growth rate for B2B marketers. Source Digital advertising has higher performance ratings over out-of-home (OOH) and traditional network media channels. DIY Videos and Product Placements: There is a growing use of product placements on YouTube and other social media platforms because of the relationships their easily defined demographic audiences have with content creators and celebrity endorsers. Celebrity vloggers provide a perception of authenticity by reaching out to their loyal followers and sharing product information. Edutainment: Educational entertainment videos are utilized to increase engagement and retention for learners through the use of game-based learning experiences and various types of digital entertainment. It is often used to create video content series, character-based programs and simulations. Thought Leadership: Thought leadership videos are the 5th most popular video content type for businesses as they help to share expertise with a global audience. TED is a perfect example how videos can be effectively used to share complex, thought provoking and cultural ideas. TED is a non-profit global community that hosts online TED Talk and Conference videos of experts and thought leaders on hundreds of science, business and global topics, in more than 100 languages . Branding: Video empowers brands share experiences by reaching and influencing a targeted audience through engaging digital stories and visual interests. Video is the most powerful format for storytelling, helping businesses captivate buyers, build trust and create loyal followers. Why video matters in branding, YouTube reaches more 18-34 and 18-49 year-olds than any cable network in the US. Generation Z, made up of 84.7 million kids born between 1996 and 2010, yield the future spending power so it is essential businesses connect through digital channels. Where are your buyers? Online, watching videos! Corporate Marketing: Approximately 78% of businesses use video on their website or product site, and 72% use it on social. Small Biz Trends reports businesses using video on their websites get 41% more traffic and see a 157% increase in organic traffic from search engines. The average user spends 88% more time on a website with video. Corporate communications are utilizing video to showcase their cultures and work experiences. They are also valuable in ensuring content visually expresses the brand identity, leadership principles and core values of the company. Sales and Ecommerce: Wyzowl reports 84% of consumers have been convinced to make a purchase after watching a brand’s video. 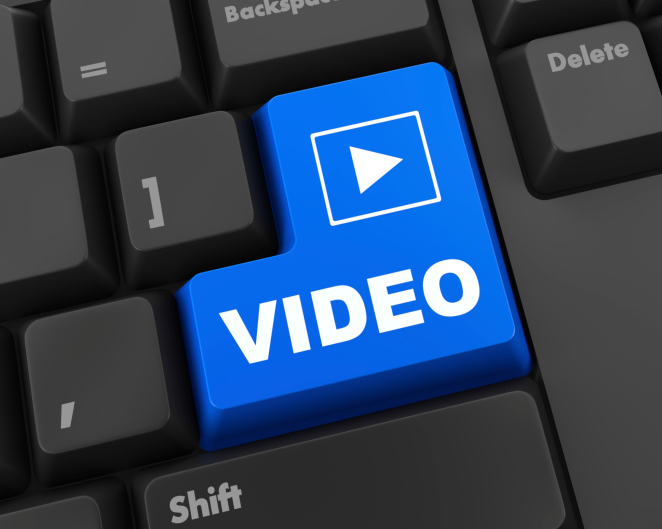 Video on a landing page can increase conversions by 80% or more. Red Stag Fulfillment reports using product videos on ecommerce sites can increase product purchases by 144%, with video driving more ecommerce conversions than social media. Buyers research products and services online before they buy and most are looking for video content. Video is also viewed as innovative for sales presentations and pitches. Don’t be afraid of taking a boring presentation and making it an more engaging with a visual video representation that directly addresses the needs of your buyer. 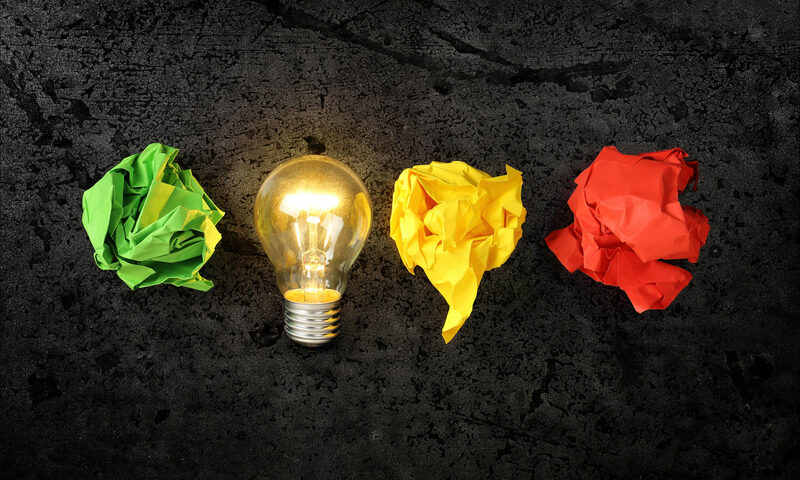 Shareable Marketing Content: Social Media Examiner reports that 74% of social media marketers use visual assets in their social media marketing. (Source) 92% of mobile video consumers share videos. If the content is available online, it’s likely to be shared with others. Zenith’s Online Video Forecasts 2017 report estimates that consumers will spend an average of 47.4 minutes a day viewing online video this year. Mobile video viewing will increase by 35% to 28.8 minutes per day in 2017, and will rise by 25% in 2018 and 29% in 2019. The most important consideration for business leaders are that videos are treated as an investment to create an asset. Be strategic and methodical in your video production, focusing on quality and consistency to get the greatest ROI. Click here to read more about the value of video for growing your business. BONUS: Check out this helpful visual guide for building a YouTube channel. Trust is core to any and all relationships. This is particularly true between buyers and sellers. A brands trust builds brand value and equity in the marketplace. Without trust, you don’t have buyers (or at least not for long). Trust is derived from telling the truth and truth is represented through facts. 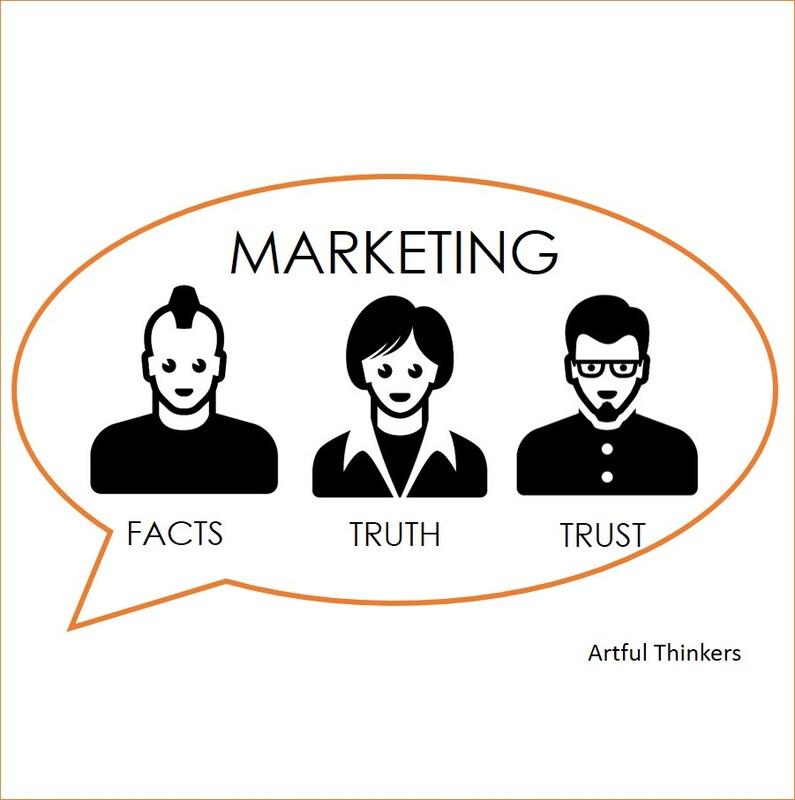 Marketers are critical in building trust based on truth and facts. They do so by ensuring what is said by the company is factual and will be delivered to the customer. This all begins with a unwavering commitment to using truth and facts in all communication types and across all mediums. DEFINITION: Trust is the firm belief in the reliability, truth, ability, or strength of someone or something. Trust grows over time. It is often referenced that trust takes years to build and seconds to break. This requires attentive brand management through active listening posts, internally and externally. Marketers must value the relationships a company spends years building through constant and consistent fact-telling. Say what you do and do what you say, without exception. If you can’t do it, don’t say it. Seems pretty elementary, yet it is how brands are tarnished and customers are lost every day. The easiest way to lose a customer is to not follow-through or to ignore a customer. The ultimate sin is to lie, which usually has greater repercussions. When a brand sets an expectation through marketing, it must deliver. It is the brand promise. If the brand can’t deliver to a single consumer or marketplace, state so immediately and swiftly move into reputation management. Facts are hardened by evidence. They are proof points that should easily define your products and services. Marketers often site facts that are obtained through customer experiences or results of use. Product tests, trials, use cases, satisfaction surveys, ratings and performance metrics are good mechanisms to produce data for fact-based marketing. Statistical evidence is often easy to communicate and understand by buyers. A good example of how statistics are used in marketing is through published survey results. “82% of our customer’s said they would refer our company to a friend or colleague based on our latest quarterly NPS survey.” To further back-up the facts, link the inquirer to the published survey results. DEFINITION: Fact is a thing that Is indisputably the case. Reality, actuality, certainty. What hurts the marketing profession more than anything is when brands focus so heavily on spin, pitching and hype that they stray from the facts. Some may brush this off as “over-selling,” yet the danger is that this can often creep into communicating falsehoods. By aiming to create a viral buzz and generate demand, a truthful message can soon spin out of control downstream. Creativity in messaging and pushing to get your message heard must be held to truth standards or consumers will see through the hype and hold the brand accountable for violating their trust. Without trust, you don’t have buyers and without buyers, marketing fails. 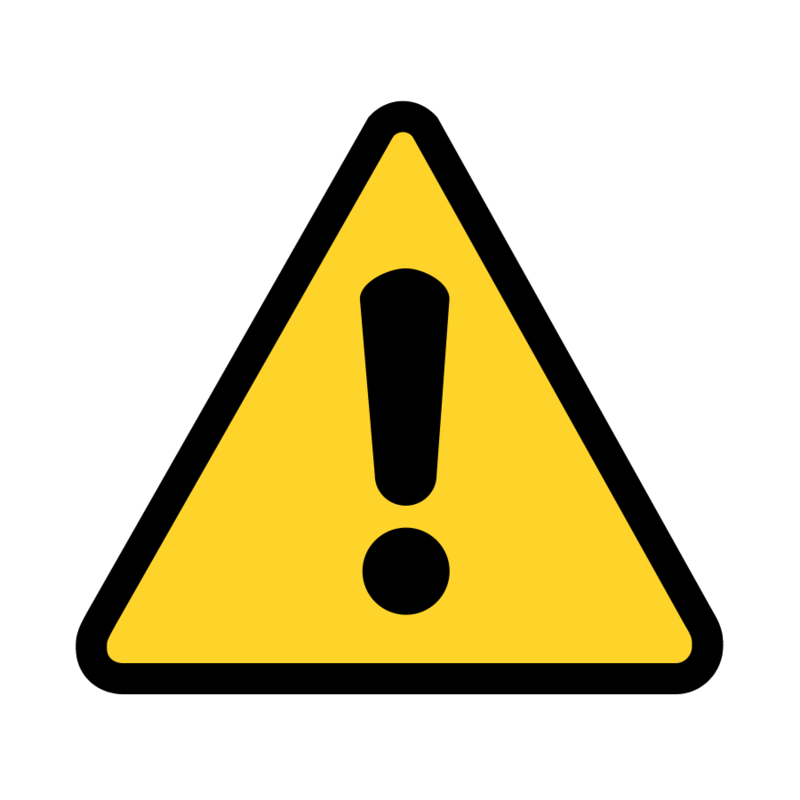 Marketers also need to heed the warnings of making assumptions and using projections. We have heard that everyone has their “own truth” and that perception often comes through that person’s conviction and belief. One good review online can help market an experience; however, projecting it as evidence or proof of “everyone’s” expected experience is where distortion of facts leads to betrayal of trust. There are no alternative facts. Facts should not be disputable; however, one’s truth is where we enter can into a universe of animated reality. Marketers should not bend the rules to utilize one’s truth as evidence of fact for all. DEFINITION: Truth is the quality or state of being true. Persuading others of what is the truth is a primary role for a marketer and that persuasion must rely on facts. There are laws that prohibit factual misrepresentations in advertising. These rules are governed by the Federal Trade Commission in the United States. An area that often challenges marketing is the reliance on spokespeople for advertising. Spokespeople are recognized as endorsers of products and services. No matter how the message is delivered, whether word-of-mouth, online videos, TV or through written communications, it is critical that the spokesperson does not set expectations or guarantees. Often it is the intention of a brand to use a spokesperson to build trust. That means the spokesperson must speak the “universal” truth, as evidenced by fact. Unfortunately, we have a long history of barkers, pitchmen, raconteurs, braggers, blowhards and gossipers who have all engaged to sell a product or service. They have hurt the reputation of brands and marketers, as they were not viable truth tellers. Trusting paid endorsements is subject to much debate and criticism in advertising. Besides the high costs in securing reputable spokespeople to pitch your goods and services, be sure you understand all the legal concerns and risks associated with this form of advertising. Another caution to marketers who focus on storytelling as a method for personalizing brands. It is essential that storytelling portray an actual experience. Unfortunately, there is a branding issue with storytellers. In history, they have been seen as tellers of tales, liars, minstrels, fibbers and betrayers of truth. If storytelling is key to your marketing strategy, rely on known and trusted sources that can support the messages with evidence (facts) in the stories they tell. One way that the consumer has taken control of brand’s truth telling through stories and and endorsements is through the use of reviews. Reviews are seen as “of the people” and representative of an individual’s “truth.” Reviews are now one of the most trusted forms of advertising for brands. This phenomenon has given rise to the need for significant investments in reputation and brand management functions and technologies within corporate marketing. Online customer reviews have given consumers decision-making power based on others perceptions and experiences. This can have a significant and even immediate impact to revenues. We’ve all read about how one bad review soiled a company’s reputation and value. Or as we know today, one bad tweet and you are toast! Interestingly, reviews are “one’s truth” and may not be supported in fact. It is up to the marketer to listen, learn, be prepared and act quickly! What has led to a revolution in how consumers use their own storytelling and sharing of brand experiences, now defines corporate marketing’s role. As marketers listen in, watch the online chatter and put into effect means to engage with the empowered consumers, it is essential that brands respond and stick to the facts. Tell the truth. Trust will follow. Without trust, you have nothing to market and nothing worth selling. Trust me. Jamie Glass, President + CMO, Artful Thinkers, a sales and marketing consulting company. EXTRA 1: Who are the most trusted brands in America? More than 5,000 Americans across the country participated in the online survey, which awards the “Reader’s Digest Most Trusted Brand” title to winners in 40 product categories, including travel, food and beverage, automotive, beauty and healthcare, retail and customer service, financial services, household items, consumer electronics and more. Reader’s Digest Trusted Brand survey results are here: http://www.rd.com/trustedbrands/.